I remember the Cold War. 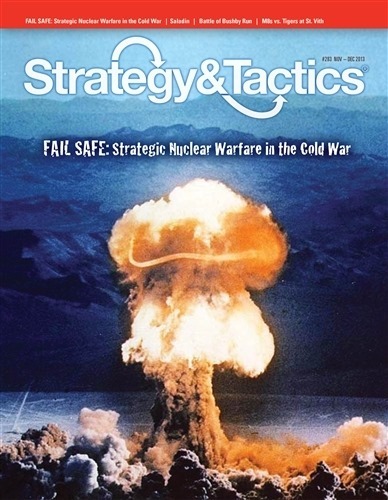 Seeing the title of issue 283 of Strategy & Tactics when I took it out of the envelope in the elevator heading back up to the apartment last night brought back some memories. I can remember life in the early 1970s in particular, the Cold War was well underway and at that time it was not clear who was winning. At that time many of us thought it was better not to win the Cold War as we didn’t want to upset the other guy – after all, they were always considered a bit unstable in the eyes of the Free World. Ban the Bomb, protests against stationing US Nuclear Forces in Britain, Aleksandr Solzhenitsyn and the gulags, so many memories flooding back in. Really, it had me feeling that Generation X and Generation Y never understood the stress of being a Baby Boomer. Fail Safe ((now there is another term fresh from the Cold War that takes on a whole new meaning these days)) is a look at the manned bombers carrying nuclear weapons in the period 1945 to 1960 and the story of the doctrine that directed and restricted their use. For another view on that, I can thoroughly recommend watching Stanley Kubrick’s 1964 film, Dr Strangelove or: How I Learned to Stop Worrying and Love the Bomb. That really caught the mood of the time well and is a superb black comedy. The article in S&T however has some really neat photographs of some of the nuclear capable aircraft of the time – I can almost feel another wargaming period coming on! In this issue also is a look at Saladin – not so much the chivalrous warrior this time but more the ruthless contender reaching for power. In 1763, after the British had won the French-Indian Wars, Fort Pitt was besieged by a confederation of Indians unhappy with British rule and the policies of General Jeffrey Amherst in particular. This was the decisive battle in what became known as Pontiac’s War. Pontiac was an Ottowa Indian and leader of the confederation. At this battle, British officers at Fort Pitt attempted to infect the besieging Native Americans with smallpox – an early example of biochemical warfare. 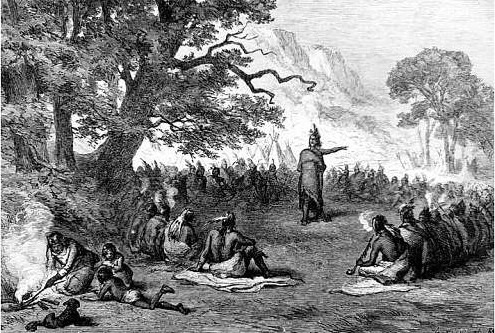 The plan was to send blankets exposed to the smallpox virus to the Indians and hope it caught. The article also looks at the Battle of Bushy Run where the British did manage some effective infantry tactics. There is an examination of Tulagi, the August 1942 landing on Tulagi to support the Guadalcanal landings. Other notes and articles this month deal with the birth of the Roman Navy; Japan’s rise to naval dominance; submarines in the Gallipoli Campaign; and a piece on Admiral George Stephen Morrison (father of singer Jim Morrison of the Doors fame) and one of the commanders of the US naval forces in the Gulf of Tonkin at the opening of the Vietnam War when North Vietnamese torpedo boats attacked US Navy warships. Another good read coming up over the next few nights. I do enjoy this magazine, even without the game it is good value for money and any of the games that are interesting can be purchased later anyway. In fact, after a quick read of the Cold War piece I am starting to consider that as a board game to add to the collection. After a meeting this afternoon in Ha Noi that was near the West Lake we decided to walk for a little to stretch the legs before catching a taxi to the next meeting. 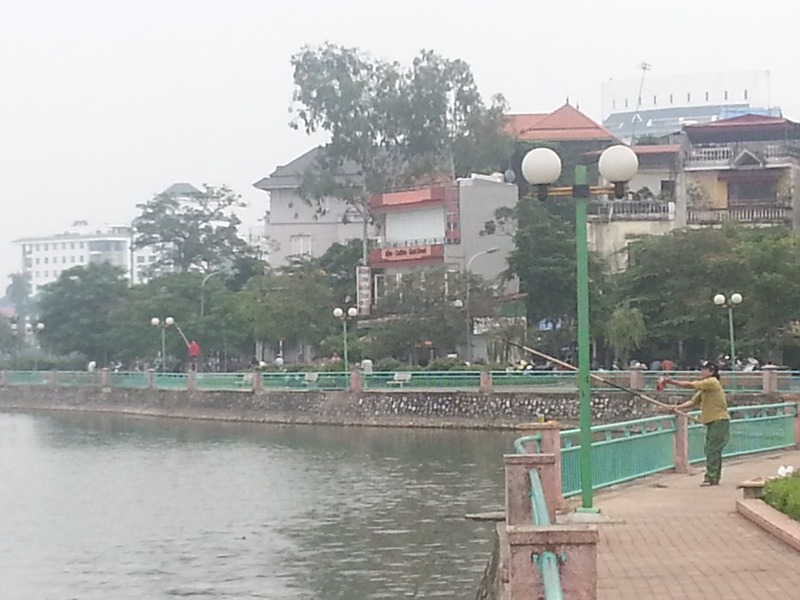 We took a walk around the West Lake which is the largest in Ha Noi. There were some nice houses around the lake, coffee shops, places to sit and and it all looked very nice. Even some of the locals fishing. Fishing here is interesting. It is done with a hand line and a bamboo pole with a ring on the end. The fisherman uses his hand to work like the reel does on a rod you would buy elsewhere. I was amazed with the distance these guys were getting on the cast however. The only downside that I could see was related to the smell of the lake. It really did not smell all that healthy. 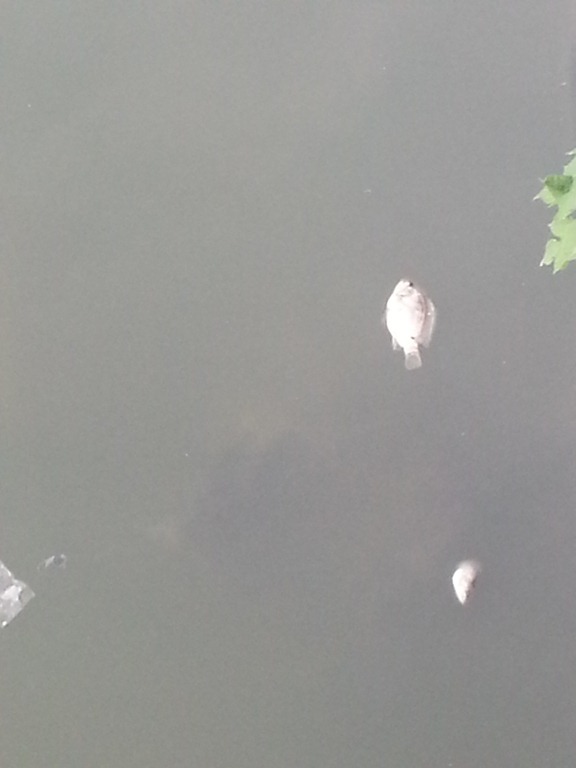 Indeed, the lack of health seemed to be borne out by the number of dead fish that we saw on the edge of the lake as we walked around. Moving on from the Philippines I have a few days of meetings in Hanoi to attend to. The hotel (Melia) is a nice older hotel with good facilities. Best of all was that they checked me into a room on the 22nd floor so this was the view from my window this morning. 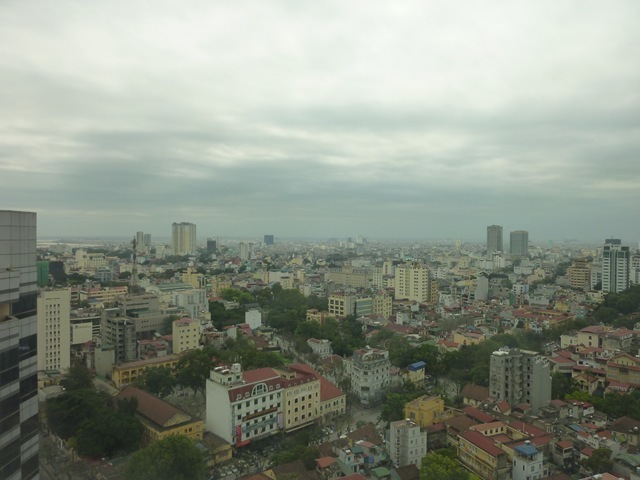 I have not been to Hanoi for about 10 years but I have noticed a lot of change – there are more cars and less bikes, for example, on the roads. The old French colonial architectural styles have been kept in many places and there are a thousand places to eat on each block. We settled in last night to beer at four bars followed by a late supper – all within one block of the hotel. Last night’s Hanoi induced sleep was the best I have had in the past month.